You normally specify a value for the DockPanel.Dock attached property for all children of a DockPanel, indicating which side the element should be docked to. 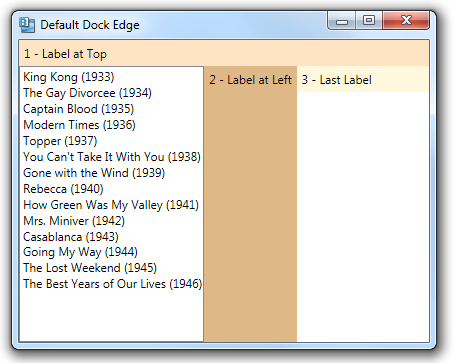 However, if you don’t specify a value for the Dock property, the child element will be docked to the Left, by default. 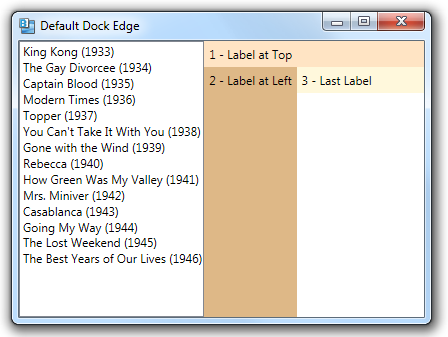 Because the DockPanel container docks elements in the order that they appear in the XAML, if we change the order of the elements, the ListBox will still default to a Dock value of Left, but will dock within the remaining space.